Neural Organisation Technique (NOT) was developed by Dr Carl Ferreri, a chiropractor based in New York. Dr Ferreri found that many people’s nervous systems were not functioning properly due to stress or trauma. The nervous system needs to function well for the body to receive the appropriate signals and maintain your health. When spinal therapy alone did not always solve the problems people were experiencing, Dr Ferreri searched for a way to re-organise the nervous system so that it could function the way it was designed, thereby restoring health and wellbeing. Neural Organisation Technique is a series of techniques designed to re-organise the nervous system so that the individual can function effectively and efficiently without pain or distress. It is based on the theory that the body is an integrated whole of self-healing, self-regulating, self-perpetuating (replacing its own tissues) and an organized entity. The NOT principles are based on the survival systems of the human species: feeding, flight/fight and reproduction. Dr Ferreri found that the body and its multitude of functions work like a computer with very specific programs for every eventuality. Some programs like the basic survival systems were built in and other programs were developed, learned or put together as the need arose. Sometimes the programs get corrupted or damaged due to either physical, emotional or chemical stress. NOT is designed to find the cause of the stress or damaged program by testing the body in various situations and then used gentle spinal, cranial and reflex techniques to reactivate and re-organize the nervous system. NOT is very gentle. An array of non-invasive tests ranging from an assessment of your walking gait to more complex nervous system function tests are conducted. The purpose of these tests is to assess the status of your survival systems and gauge to what extent your nervous systems is promoting protective/defensive responses rather than growth and repair in your body. A variety of gentle spinal, cranial and reflex techniques are generally reinforced with breathing patterns. A range of physical situations including light/dark, eyes open/closed and any situation of relevant stress are explored to ascertain whether your nervous system is returning to a self-regulating, self-maintaining system. People generally find NOT very relaxing and enjoyable. Marvellous changes will occur in your body as your nervous system shifts its attention back to growth and repair. Recovery of your health and wellbeing will depend upon the length of time you have had problems and your ability to avoid and resolve stresses in your life. All health problems are assisted by the nervous system working more effectively and optimum function of the nervous system is imperative for complete wellness. Therefore NOT can benefit people with health problems from head and back aches or anyone who wishes to enhance their health, improve their performance or optimise their potential. Good posture not only looks healthy, it is healthy. Good posture keeps muscles, ligaments, bones and internal organs in their natural position thus reducing wear and tear of joints, improving health and your appearance. Poor posture increases pressure on your spine which can lead to various symptoms such as headaches, back pain, muscle tension, stiffness, general soreness and fatigue. Poor posture may also compress internal organs changing their normal function. Many symptoms such as respiratory problems, chest tightness, digestive and blood pressure disturbances may be related to poor posture. Advanced Biostructural Correction™ (ABC) is a revolutionary Chiropractic technique that has a unique system of analyzing and correcting misalignments of the spine and other body structures that can produce very consistent and predictable changes in posture and body alignment, as well as giving symptomatic relief in most cases (no matter how longstanding). The new Chiropractic solutions incorporated into ABCTM were made primarily by two individuals. Dr.Alf Breig, a neurosurgeon who over 50 years ago observed that his patients consistently carried their heads in a slumped forward posture and wondered if this contributed to their conditions. Through his research he found that it did. Dr.Jesse Jutkowitz, a chiropractor who read and applied Dr. Breig’s work, began his own research into understanding this forward slumping posture. 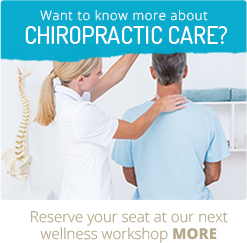 He founded Advanced BioStructural Correction™ which gives us the new chiropractic solutions necessary to understand and correct structural injuries. The focus of your ABC™ chiropractor is to adjust your body in only those areas where it can’t correct itself. ABC™ practitioners believe that your body compensates for injuries throughout the course of your life and that the impact of this compensation continues to accumulate over time. The most unique thing about ABC is it allows the chiropractor to unlock years of injuries and damage to your body, layer by layer. With repeated adjustments, more and more gets unlocked and more of your old injuries can be corrected. This process is called unwinding, and is truly an unbelievable breakthrough in chiropractic care. If you’ve tried chiropractic before and didn’t get the result you were looking for, don’t give up on the entire profession, as ABC is a completely different approach, we see great results in these cases. What is involved in an ABC™ treatment? The central nervous system (brain and spinal cord) is surrounded by a tough (plastic bag like) structure called the meninges. ABCTM is a Chiropractic technique focused on releasing stress in the meninges and spine allowing the body to unwind and recover from previous injuries and distortions. The meninges are released with very specific and firm chiropractor assisted stretches. Once the meninges are released, gentle foot, knee and spinal adjustments complete the correction. The focus of your ABC™ chiropractor is to adjust your body in only those areas where it can’t correct itself. ABC™ adjustments work through your body’s history of trauma, this is called “unwinding”. The unwinding process is your body going back through problem areas where past injuries are stored and unlocking each area of tension and injury until it is completely corrected. . It simply unwinds like a rubber band in a child’s toy and continues until there is nothing left to unwind. The way it was when you were young. After an ABC adjustment, people typically immediately experience an improvement in how they hold themselves — without any effort their body stays upright and their shoulders don’t roll forward when they try to slump. The ultimate goal is to remove mechanical stress from your body’s skeletal, muscular and tissue structures. Successful treatment will balance your body, improve your posture and reduce or resolve your pain. We also commonly see decreased post exercise recovery time, increased flexibility, deeper and easier breathing, and a general sense of wellbeing and ease. If you haven’t experienced ABC™ and would like to have an assessment with this technique, call the centre and we will organise a complimentary postural check. All our chiropractors are trained in Applied Kinesiology (AK) to give them accurate feedback on the current state of your body. Applied Kinesiology uses the body’s own intelligence to feedback diagnostic information to your chiropractor through simple muscle testing and reflex techniques. Applied kinesiology is a form of diagnosis using muscle testing as a primary feedback mechanism to examine how a person’s body is functioning. When properly applied, the outcome of an AK diagnosis will determine the best form of therapy for the patient. Since AK draws together the core elements of many complementary therapies, it provides an interdisciplinary approach to health care. In some cases, the examiner may test for environmental or food sensitivities by using a previously strong muscle to find what weakens it. Applied kinesiology uses the – triad of health – chemical, mental and structural factors – to describe the proper balance of the major health categories. The triad of health is interactive and all sides must be evaluated for the underlying cause of a problem. A health problem on one side of the triad can affect the other sides. For example, a chemical imbalance may cause mental symptoms. Applied kinesiology enables the practitioner to evaluate the triad’s balance and direct therapy toward the imbalanced side or sides. People used to think emotions resided entirely in their brain. Now we know other parts of the body can hold emotions too. Ever felt butterflies in your stomach before a speech, referred to something as a “pain in the neck” or felt a “lump in your throat”? Clearly, emotions happen in our body, not just our brain! We rarely see the link between the past event and our present situation. NET can help and identify the unresolved real (or imagined) event and help your body release its lingering emotional charge. For good! For more information please contact Wellness Centre, or see NET Mind Body Website. Graston Technique® is an evidence-based form of instrument-assisted soft tissue mobilization that enables clinicians to effectively address scar tissue and fascial restrictions in muscles and soft tissue structures. The technique uses specially-designed stainless steel instruments, along with appropriate therapeutic exercise. Originally developed by athletes, Graston Technique® is an interdisciplinary treatment used by more than 21,750 clinicians worldwide — including physical and occupational therapists, hand therapists, chiropractors, and athletic trainers. Dry needling is a term that differentiates the use of needling in a western medical view, from the use of needling in an eastern medicine view which is referred to as acupuncture. Dry needling involves applying very small needles to altered or dysfunctional tissues in order to improve or restore function. This includes needling of myofascial trigger points and other soft tissues. Myofascial Trigger Points have been described as a hyper-irritable spots within skeletal muscle. Trigger Points are points in muscles which are painful when pushed, and they can refer pain to other areas of the body. Dry needling addresses symptoms and restrictions found during the physical assessment. Palpation is used to identify the specific changes within the tissue and then application of the appropriate needling technique is used. Dry Needling is a very effective and efficient way to address muscular pain as it is often less painful and less time consuming than other more traditional soft tissue therapies. When used in conjunction with other techniques, such as chiropractic, postural re-education and strengthening, needling is a very effective tool to treat muscular dysfunction. Trigenics is a neurological muscle assessment treatment and training system which reprograms the way the brain communicates with the body to instantly relieve pain and increase strength and movement. The complex procedures used in Trigenics retrain the way the brain communicates its movement and/or pain signals with the muscles of the body. The beneficial effects are often instantaneous and can be seen immediately. The Kinesio Taping Method has taken the therapeutic and rehabilitation world by storm. The old ‘rigid’ tape is now used rarely. This amazing taping method was developed by Dr. Kenzo Kase over 25 years ago in Japan. Since then, Kinesio Taping has become the gold standard for therapeutic and rehabilitative taping for treatment of muscular disorders and the management of lymphoedema and chronic swelling. The Kinesio Taping Method is based on a simple principle that the body has built-in healing mechanisms and chiropractors can help to positively influence their efficiency by removing barriers that impede them. Kinesio Tape provides extended soft tissue manipulation to prolong the benefits of manual therapy administered in your adjustments. The results are increased fluid flow through an injured area, better control over muscle contractions, reduced pain, and ultimately faster healing. This effect is modulated and coordinated by the nervous system by specifically stimulating the sensory motor system. The unique design of Kinesio Tape allows for unidirectional elasticity up to 60% beyond its resting length. Its thickness and weight are approximate to the human dermis layer which allows for comfortable prolonged wear times. The adhesive backing is a heat activated acrylic and does not contain latex. The tape is also water resistant and withstands high moisture environments in addition to sweating. GaitScan is an innovative diagnostic tool and digital casting device that allows your chiropractor to analyse your biomechanics and prescribe custom orthotics. With 4096 sensors and a scan rate of 300 frames per second, GaitScan is the industry leader in dynamic scanning capabilities. What does this mean for you? A new, in-depth method of assessing your gait (walking) cycle with a digital scan gives your chiropractor access to a wealth of information that cannot be obtained with the naked eye. Over a million points of data are recorded, tracking minor flaws in your biomechanics and shedding light on issues that if left untreated, could develop into painful conditions over time. The TOG GaitScan™ is a valuable education tool that provides your chiropractor with a comprehensive biomechanical analysis of your feet, as well as clear, concise images to assess and articulate the need for orthotic therapy.